The Citizenship by Investment Programme (CIP), operated by many countries in the world, including the US, Spain, Switzerland, Malta and Portugal to name a few, is particularly misrepresented in relation to the small countries in the Eastern Caribbean. At the outset, I make it clear that this commentary is not a defence or apology for any governments in the Eastern Caribbean – past or present – that have not administered and operated the CIP's at a high international standard. Citizenship of any country is a most precious entitlement; its value should be safeguarded in the interest of the state and all its people to whom their nationality is an important element in their self-identification. It is not a commodity, like credit cards, which should be available to anyone with the financial means to purchase it, and it should be accorded only to those who pass strict examinations of their criminal records and their readiness to respect the sanctity of the citizenship and passports that they acquire. In this regard, as I have written time and again, the intense vetting of persons who apply for Citizenship by Investment, must be an absolute requirement. An integral and vital part of such vetting must also be respect for other nations, particularly those that allow visa-free travel to their shores. In today's world of cross-border networks for crime and terrorism, countries that offer CIP's have a compelling obligation to ensure that no recipient of their citizenship and passport could pose a threat to the security and welfare of other countries. If any country fails to implement a rigorous and comprehensive system of vetting, it will eventually fall on its own sword, extinguishing any possibility of benefitting from the CIP as other nations shut out its passports except through onerous visa requirements. Antigua and Barbuda is the newest of the Eastern Caribbean countries to establish a CIP. This recent entry gave the government an opportunity to assess the history in other countries; to learn from the mistakes of others; and to put in place a system that is meticulous and free of political interference in terms of who qualifies or not for Citizenship. Importantly, to the Antigua and Barbuda system is the vetting of applicants by external law enforcement agencies such as Interpol. Of course, none of this stops detractors of the CIP from making unsubstantiated allegations, such as the Citizenship by Investment Unit "does not maintain adequate autonomy from politicians to prevent political interference in its decisions". In fact, in Antigua and Barbuda, the system of deciding acceptability for citizenship is ring-fenced by the current government from political decision-making. Strict vetting also does not deter other allegations such as, "the CIP remains among the most lax in the world". But truth often gets in the way of lie, and is cast aside to serve an unworthy purpose. What is interesting is that those who make these unsubstantiated claims never come forward to offer evidence; they simply make them from the shadows, not even bothering to attribute their 'alternative facts' to "sources". However, it is precisely because detractors purvey false information designed to destroy CIP's that even greater scrutiny has to be applied by the governments that operate them. The best defence is fact, truth and scrupulous transparency. In the discourse that has taken place in the international media recently, the matter of passports provided under CIP's has been conflated with diplomatic passports. The two matters are very different. Small countries do not have the capacity for diplomatic outreach that large or even medium-sized countries do. That is why, for the most part, small countries severely limit the number of overseas diplomatic missions that they operate. Nonetheless, they have as much need, if not more, for wide international contact, particularly in pursuit of economic development. Therefore, they employ the tools of appointing non-national Ambassadors-at-Large, Special Envoys and Honorary Consuls. For the most part, persons appointed to the role of Honorary Consul would be well known in the countries or areas to which they are assigned tasks. They are also not a charge on the national Treasury since a condition of the appointment is normally that they cover all expenses. With regard to Ambassadors-at-Large or Special Envoys, their appointments should ideally be for limited periods to carry out particular assignments on behalf of the government. In some special cases of well-connected international figures, good will Ambassadors-at-Large could be appointed for longer times to seek investment or negotiate a project for which they have special skills. Many countries, including industrialised nations, employ the tools of special envoys or goodwill Ambassadors. The issue arises as to whether such appointees should be accorded diplomatic passports. There is no justification for such passports in relation to Honorary Consuls. In Antigua and Barbuda's recently announced policy, Honorary Consuls are excluded from receiving diplomatic passports. And, while diplomatic passports may be issued to Ambassadors-at-large and Special Envoys, they will be subject to annual reviews and their passports could be extended or terminated dependent on their performance. In any event, the most important consideration is that non-national Ambassadors-at-Large or Special Envoys, who are appointed, would be subject to the same intense vetting applied to Citizenship by Investment, with the further requirement that their names, titles and passport numbers will be shared with all countries with which Antigua and Barbuda has diplomatic relations. The passports are not issued for their convenience but for the conduct of the nation's business in keeping with the Vienna Convention on Diplomatic Relations. 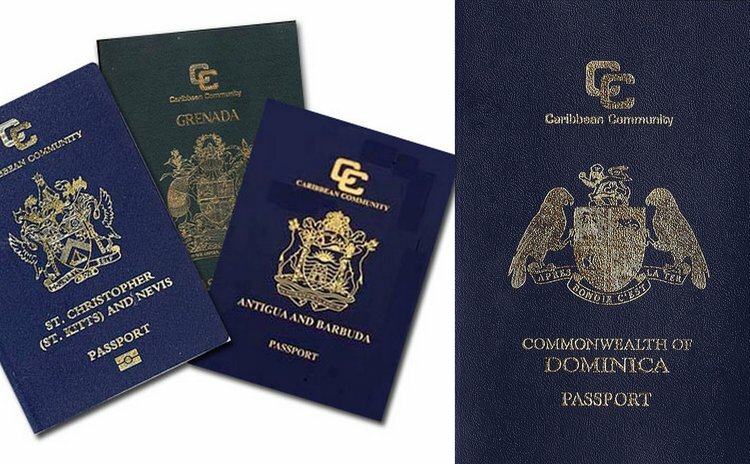 That system, including publication of the names of diplomatic passport holders, will come into effect when Antigua and Barbuda switches to fully biometric passports in a few weeks' time – an undertaking given by the country's Prime Minister, Gaston Browne. Finally, the point of the CIP is to raise funds for economic development and social improvement. That is why every country, including the US, has similar programmes. Governments of small countries, many of whose economies are undiversified and in some cases dependent on only one or two economic activities, have turned to the CIPs because of necessity. The terms of trade they experience are unfair (for instance in the World Trade Organisation, they are not accorded special treatment; they are regarded like the US, Canada or Japan); their attempts at new industries such as financial services are crippled by the agencies of industrialised nations that they rival; the playing field on which they operate in the international community is anything but level. Without the revenues from the CIPs, the countries of the Eastern Caribbean Currency Union would have been gravely destabilised.